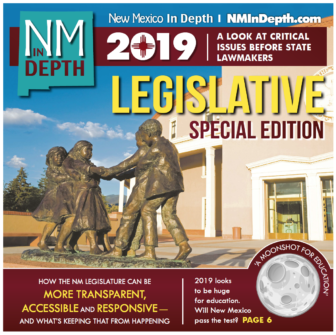 New Mexico In Depth notched two wins competing against the largest newspapers, radio and TV stations in the four-state region of New Mexico, Colorado, Wyoming and Utah. The awards, part of the annual Society of Professional Journalists’ Top of the Rockies contest, were announced last week at the Denver Press Club. NMID’s Deputy Director Marjorie Childress won first place in the political enterprise reporting category for newspapers whose circulation tops 75,000 and large-market radio and TV stations. Her September 2017 story Realtors and developers give big money to ABQ mayoral candidates took the prize. Using data analysis, Childress examined campaign finance data and then did additional reporting to conclude the real estate and land development sector had given roughly $1 of every $4 raised in the Albuquerque mayoral race as election day neared. A debate over how so many black people came to be arrested in a 2016 gun- and drug-sting operation in Albuquerque is playing out in the city’s federal courthouse. Following months of silence from the federal Bureau of Alcohol Tobacco Firearms and Explosives (ATF) and the U.S. Attorney’s Office, a narrative is beginning to emerge. It’s a story of good police work. According to this version, a pivotal moment happened a few days after the operation started in April 2016. Albuquerque Police Department detective Vic Hernandez handed ATF Special Agent Russell Johnson two sets of documents. On her last day as chief of the U.S. District Court for New Mexico in February, Judge Christina Armijo granted a motion from the lawyers representing Lonnie Jackson and Diamond Coleman. 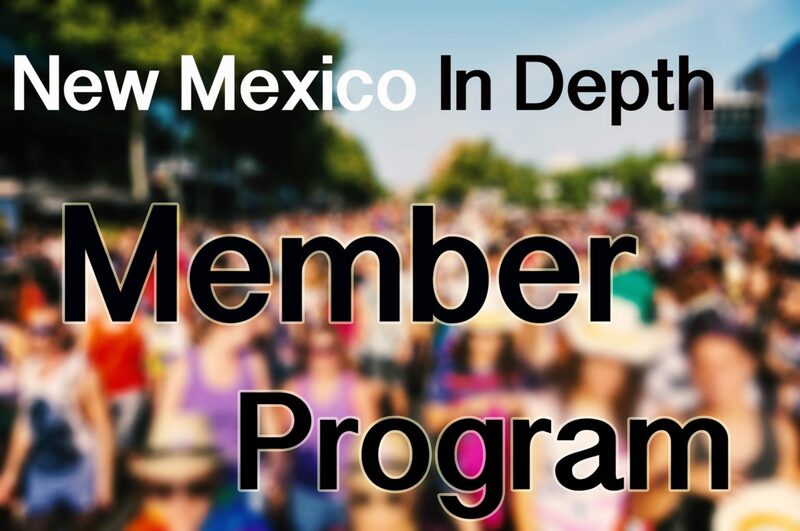 Prosecutors, the order said, must turn over all background checks run through the National Crime Information Centers (NCIC) database during a 2016 law enforcement sting operation in Albuquerque. Jackson and Coleman, two of the 28 black people arrested in the federal Alcohol Tobacco Firearms and Explosives (ATF)’s operation, are trying to prove the agency racially profiled them in a massive undercover operation. Armijo’s order represented a step toward that goal. The NCIC queries, not only for the 103 people arrested during the four-month operation but everyone ATF agents investigated but did not pursue, would enable them to test their theory. The 24 names are blacked out, as are the sender and recipients of the email and a handful of other words. Eight days after Johnson dashed off the email, a phalanx of high-ranking local, state and federal law enforcement officials told the press they had taken “the worst of the worst” off the city’s crime-ridden streets. The controversial operation has come under scrutiny over the past year for the highly disproportionate number of black people who were arrested. Meanwhile, the sting netted few, if any, of the hardened, repeat violent criminals supposedly targeted. How and even whether the Albuquerque Police Department was involved in a 2016 undercover federal drug and gun sting has lingered for more than a year under scrutiny from legal scholars, defense lawyers and New Mexico In Depth. Police and city officials under previous Mayor Richard Berry’s administration denied the department was involved. Now, with a new mayor at City Hall and new leadership at APD, the city is acknowledging the department had a “minimal role” in the sting, which was led by the federal Bureau of Alcohol Tobacco Firearms and Explosives (ATF). That included “cross-commissioned” APD officers who have long worked as part of an ATF task force assisting the federal agency during the operation. Whatever the size of APD’s role, the department’s involvement appears to have led, in part, to one of the more controversial aspects of the sting operation: the arrest of black people at a rate highly disproportionate to their population in the city.